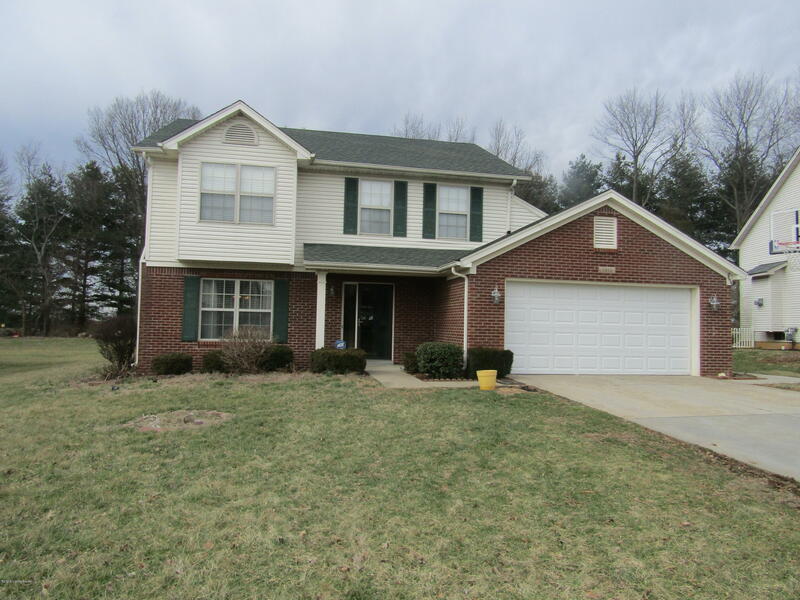 Clean, 4 bedroom, 2.5 bath two story home in the Wolf Trace subdivision ready for occupancy. This home features a large family room with log burning fireplace, kitchen and breakfast room, living room and dining room with hardwood floors, large master suite with private bath with shower stall and separate soaking tub, three other second floor bedrooms and bath. Close to the Paddock Shops and Norton hospital. Tenant responsible for all utilities.